2 Girls Who Travel is excited to share some great news about the second installment of a great Houston initiative, Houston Black Restaurant Week (HBRW). 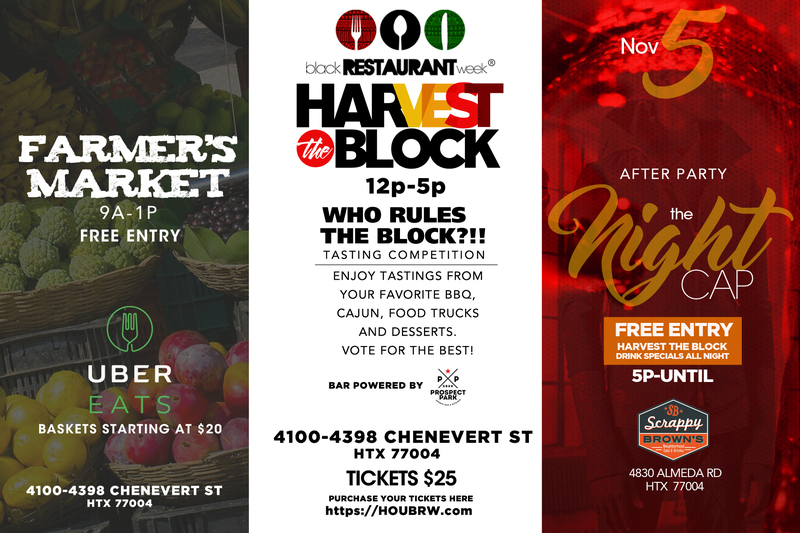 HBRW previously hosted the wildly popular and successful Black Restaurant Week in April, and coming this November, it will host a 4-day event called Harvest the Block, benefiting the Blue Triangle Community Commercial Kitchen. We are pretty amped about the entire schedule of events, which take place Nov. 3-6, but the Harvest the Block fall street festival on Saturday, Nov. 5 excites us the most. It’s part farmers market, part block party with live music and food trucks – a definite winning combination in our book! HBRW is committed to increasing education and awareness of the Black culinary industry in Houston. For the full schedule and tickets, visit http://www.houbrw.com and be sure to follow 2 Girls Who Travel as we share the latest news on this fantastic community initiative.